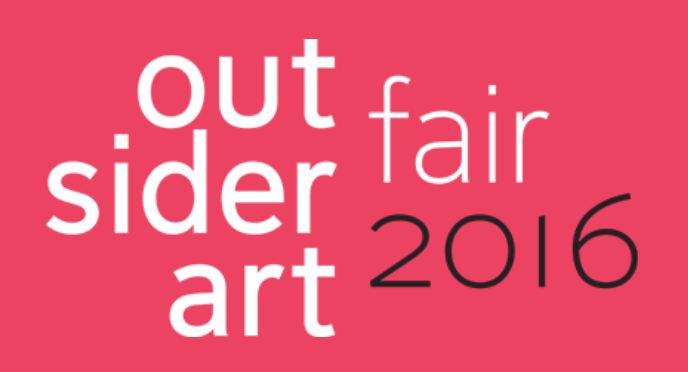 In a forthcoming article, I criticize the notion of Outsider Art, arguing that it lacks coherent rules for inclusion and that it serves to ostracize disabled artists from the art world. 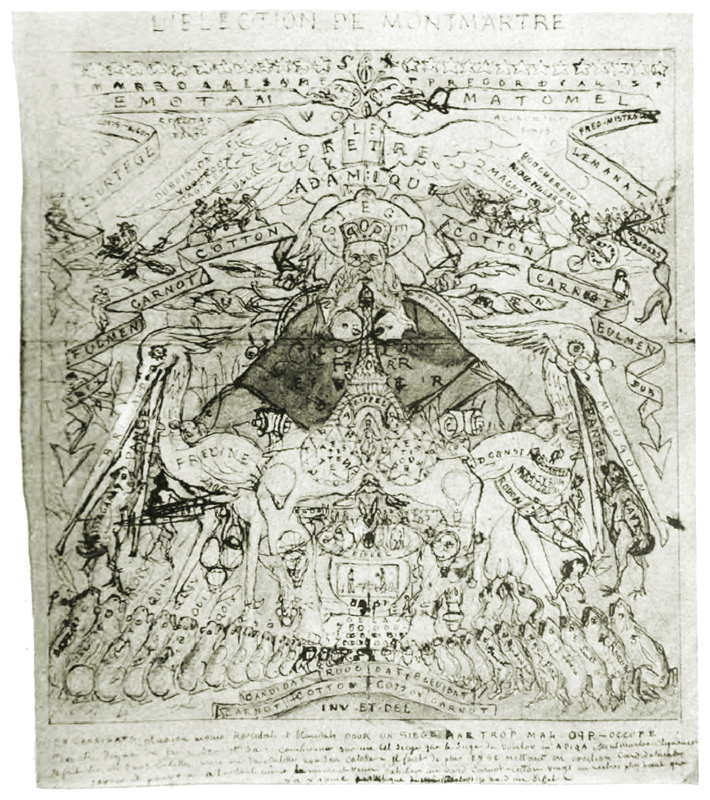 Part of that critique is based on a genealogy of the concept of Outsider Art. Here I want to share an abbreviated, visually enriched version of that genealogy. My focus will be on evolving views about the relationship between art and insanity. Outsider Art is not limited to the art of the mentally ill, but it has roots in the reception of such work. As we will see, attitudes toward the artistic impact of mental illness have changed dramatically over the centuries, and the concept of Outsider Art is a patchwork of past and present beliefs. The link between art and insanity has a long history (for a detailed study, see John MacGregor's The Discovery of the Art of the Insane, Princeton, 1992). 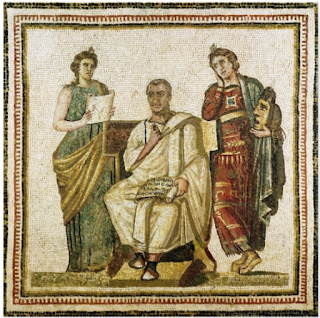 In ancient Greece, it was suggested that great poets heard the voices of muses. Poets are, thus, regarded as mad, but their malady is distinguished from ordinary madness, in that it has a supernatural origin--an idea referred to as divine fury. This idea was restricted to poets, since the Greeks tended to see painting and sculpture as technical skills, rather than as outpourings of creative inspiration. The Greeks did not share our category of the arts, which joins fine art with literature, music, and performance. There are no Muses for the fine arts, and, thus, no temptation to link fine art and madness. That began to change in the Renaissance. There is a wonderful anecdote about Paolo Veronese, who was brought before the Inquisition for including some odd characters in his monumental painting of the last supper. Along with the usual disciples, we find jesters, dwarves, a man with a bloody nose, a dog (below), and two drunken german soldiers (presumably Protestants, below). 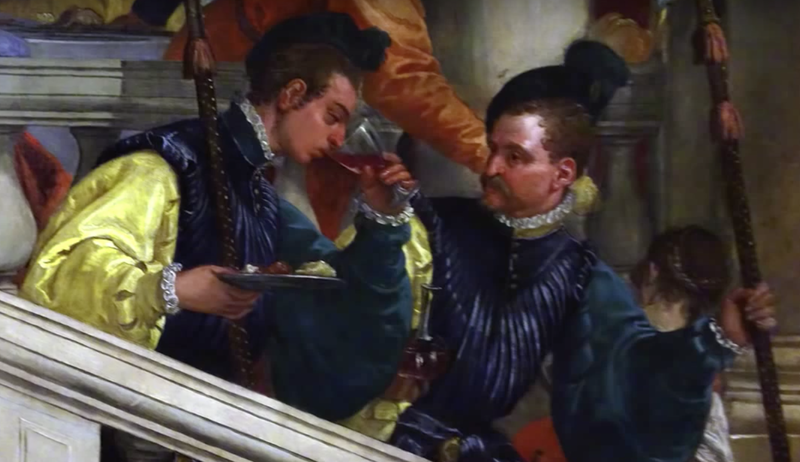 In defense of these unorthodox additions, Veronese declared, "We painters use the same license as poets and madmen." The Inquisitors were unimpressed and asked him to alter his painting. He agreed, but then later chose to change the title instead, calling it "Feast at the House of Levi." Veronese's phrase "poets and madmen" is a direct allusion to the classical idea of divine fury, which remained popular in the Renaissance, though faith in the muses has waned. In the Renaissance, painting and poetry were brought under the same umbrella, and indeed many painters were also poets. Here, Veronese is drawing a logical inference: if painters are like poets, and poets are mad, then painters too are mad. But the madness in question is of a very particular type. It involves neither an absence of control, delusional states, nor emotional turmoil--the symptoms most typically associated with insanity today. Renaissance artists sought extreme control, accurate perception, and cool rationality. Rather, madness involves creative license for Veronese: the capacity to add and embellish. The word "creative" was applied to artists for the first time in the Renaissance; it had been restricted, in Christian thought, to God's creation. It's application to artists was thus a kind of metaphor. Today we think of creativity as a kind of imaginative activity that introduces new ways of seeing and representing things. But the analogy to God's creation demands a different reading: to create is to bring things into existence. Thus, the creative artist is not an inventor of new styles, but someone who creates life-like objects at will: landscapes, buildings, and characters, as well as novel combinations of these. Veronese's use of creative license is quite unlike what we now think of when discussing art of the insane. Another link between art and madness also gained currency during the Renaissance. Various authors resuscitated classical theories of personality, according to which a person's character depends on the proportion of bodily fluids, or "humors": blood, black bile, yellow bile, and phlegm. Black bile was associated with melancholy, and said to be especially prevalent in those born under Saturn. 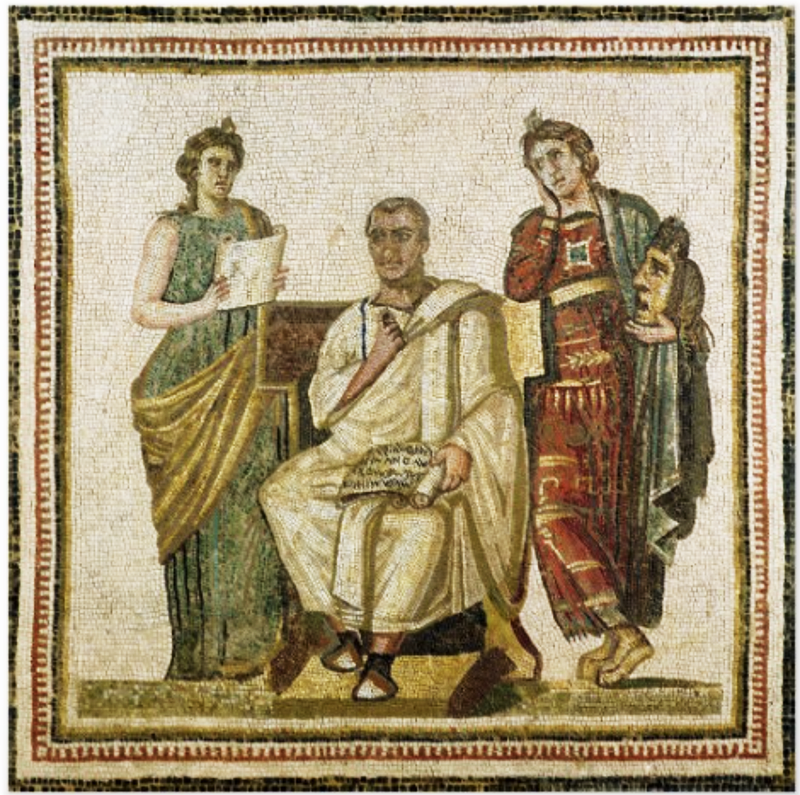 For the Greeks, melancholy was associated with intelligence and a capacity for divination. In the Renaissance, this idea was reintroduced and extended, so that artistic abilities came to be associated with melancholy. The occult philosopher, Henry Cornelius Agrippa, opined that "When the mind is forced with a melancholy humor, [it] doth suddenly become a seat for inferior spirits, by whom it oftentimes receives wonderfull wayes, and forms of manuall Arts. So we see that any most ignorant man doth presently become an excellent painter, or contrivers of building, and to become a master in any such Art." That is, melancholy can induce artistic ability. 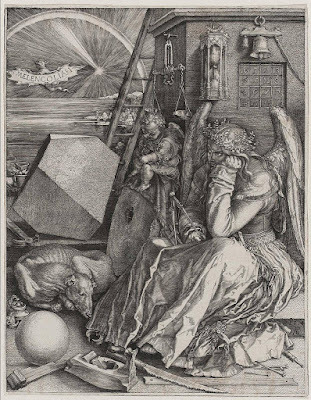 The association between art and melancholy was immortalized by Albrecht Dürer, in an etching called Melancholia I. The number "I" refers not to a series of prints, but rather to a particular subtype of melancholy that was identified by Agrippa: Melancholia Imaginative, which was associated with creativity. The print personifies melancholy as a brooding winged figure, surrounded by geometrical implements. The figure's long hair has led many commentators to interpret it as a self-portrait. 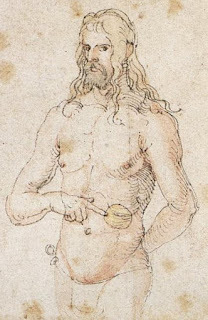 Around the time of this print, Dürer had also drawn a self-portrait for his doctor indicating pain in his spleen. In Melancholia I, the same spot is marked by the presence of a belt-loop, from which dangles a set of keys. It is as if Dürer is telling us that melancholy opens the doors to his artistic imagination. 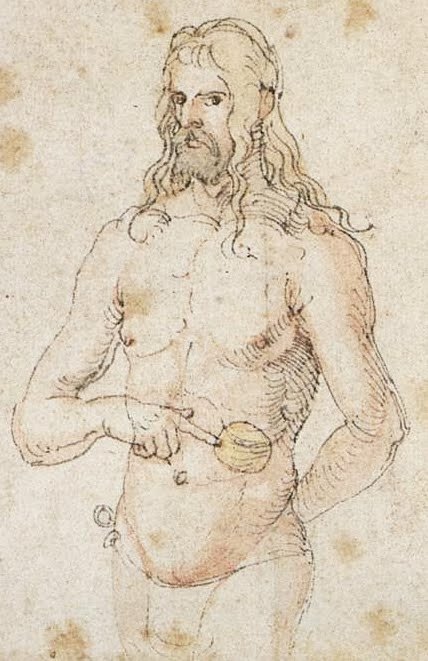 Dürer was not the sole melancholic artist of the Renaissance. Michelangelo, too, is characterized that way by his student and biographer Vasari. Indeed, Michelangelo helped introduce a new archetype: the tempermental artist. Moody, introverted, and disheveled, he was someone who couldn't quite fit in with polite society. His opposite, in this respect, Raphael, portrayed Michelangelo as Heraclitus in his School of Athens fresco, adopting a pose that echoes Dürer's personification of melancholy. Together these images convey the idea that some artists are, in this particular sense, mad. Notice, however, that melancholy is not a delusional form of madness. It is more like despair, and consistent with the idea that great artists must be able to understand the world as it really is. That said, there was no presumption in the Renaissance that melancholy was necessary for artistic achievement. Mental disorders were largely regarded as an impediment. Vasari makes this point repeatedly in his biographies, bemoaning the fact that some artists fell short of greatness because of their psychological quirks. 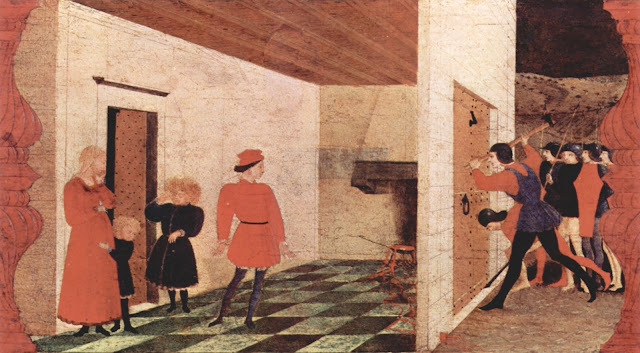 Paolo Uccello (above) developed an unnatural preoccupation with perspective, Parmigianino was obsessed with alchemy, Piero di Cosimo (below) suffered from phobias, Filippo Lippi had insatiable lust, and Pontormo was impetuous and reclusive. 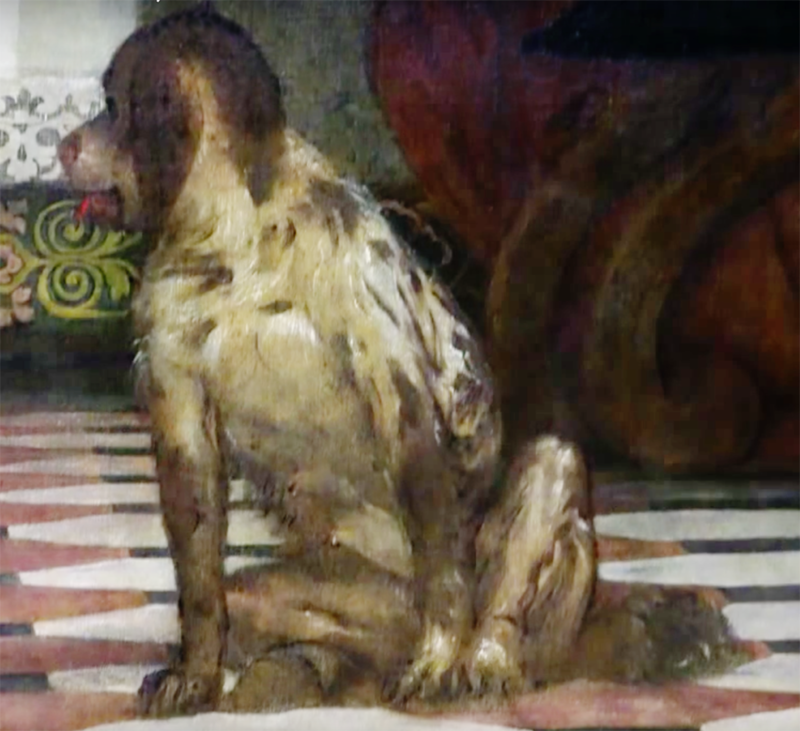 Thus, Vasari recognizes a tendency to eccentricity in artists, but he does not see this as a source of creativity. 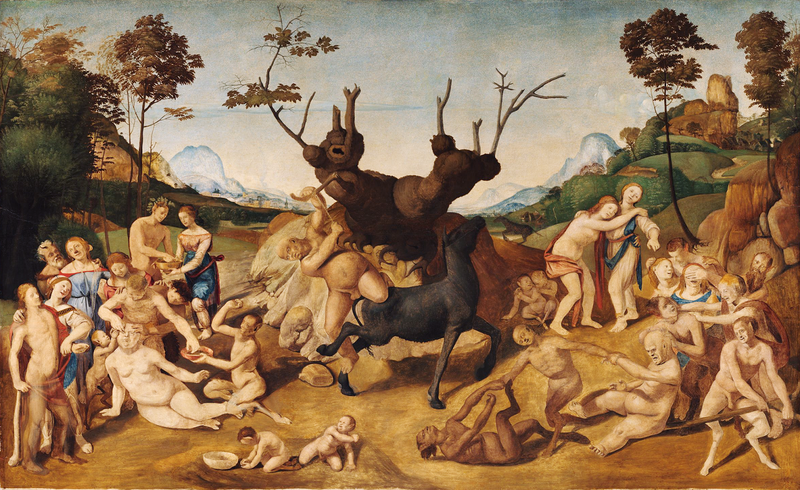 For Renaissance thinkers, art was related to science, engineering and mathematics. It was reigned by reason, and threatened by madness. Melancholy, which was associated with intellectual acumen, was the one exception. A rationalist orientation with respect to art would dominate through the Baroque and the enlightenment, culminating, ultimately, in late 18th century Neo-Classicism, with its emphasis on exacting technique and composition. But the late 18th century also saw the emergence of a counterpoint to aesthetic rationalism: Romanticism. 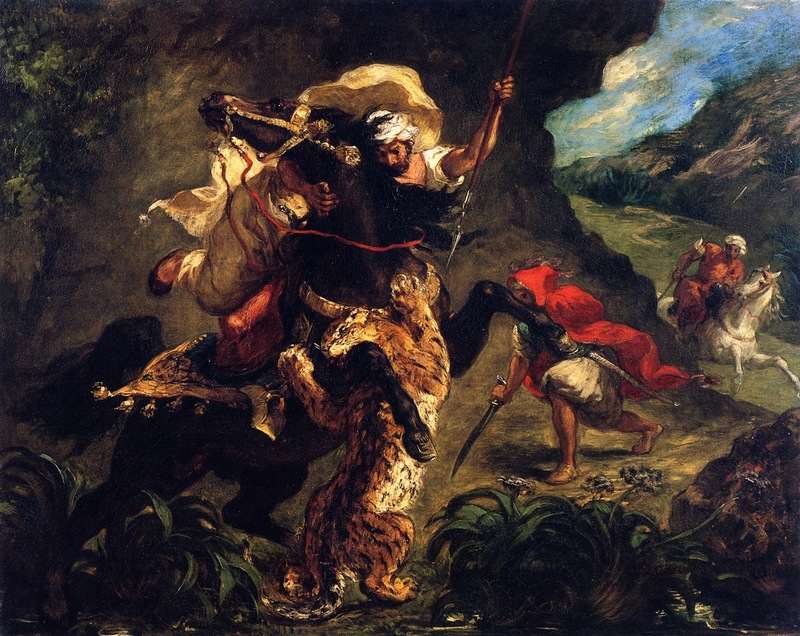 Romanticism emphasized the expressive qualities of art, and celebrated exoticism, and untamed nature. They saw reason and civilization as distorting and corrupting forces, which should be resisted. The Romantics were also given to spiritual thinking, and some developed a taste for recreational drugs, such as opium. The orientation was, thus, otherworldly. It is not surprising, then, that the Romantics began to idealize madness. This new attitude is reflected in the work of Géricault who painted dignified portraits of psychiatric patients (below). Melancholy remained a focus in Romantic thought, but emphasis shifted from the rationalist idea that melancholy enhances contemplative skills, to a more emotional construal of melancholy as a kind of inner torment brought on by the modern world. Delecroix, who regularly complains of dark moods in his letters, found refuge in foreign travel and wilderness. 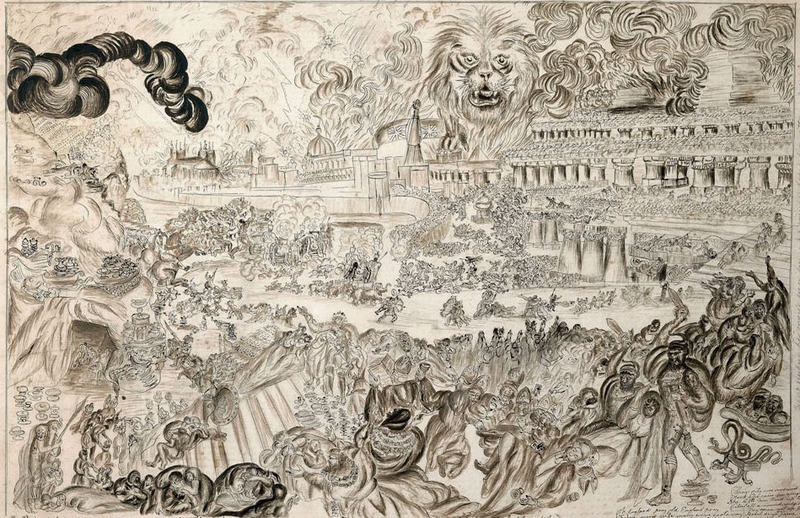 His paintings present orientalized visions of North Africa and scenes of wild animals, rendered in a frenzy of disorderly forms and brushstrokes (below). Melancholy is, thus, displaced by fantasy. In a similar spirit, Romantics began to celebrate conditions of the mind that break from reality. They found inspiration in dreams and drug-induced hallucinations. Where previous generations of artists aimed for lucidity, Romantics valued delusion. 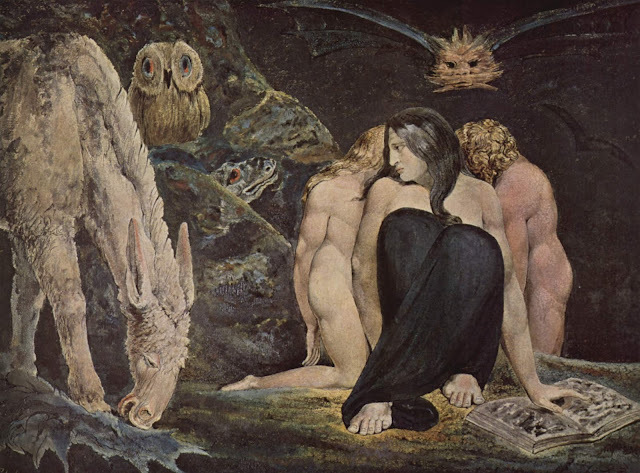 William Blake, who claimed to be guided by supernatural voices, is a prime exemplar (below). 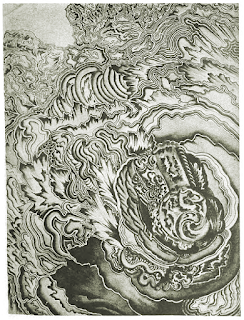 With him, the idea of the visionary artist was enshrined. This is a new chapter in the link between art and madness. Here, madness is idealized as an antidote to a world that is "too much with us"--as Wordsworth has put it. In the 19th century, Romantic conceptions of madness were replaced by a new paradigm: the medical model. This was a period of rapid institutionalization. With the rise of industry, there were new demands for order, regularity, and regimentation in human lives. Asylums are built to house those who are deemed mentally unfit. Here, the mad are confined, sedated, and examined. The human sciences were emerging, as Michel Foucault has stressed, and this fueled an interest in studying the human mind, and categorizing its range of variation. Asylums offered a perfect setting for this. Old over-arching categories, such as "madness" and "insanity," are replaced with ever-more specific classifications, and a new, clinical vocabulary is introduced: "mental hygiene," "brain disease," and "mental illness." 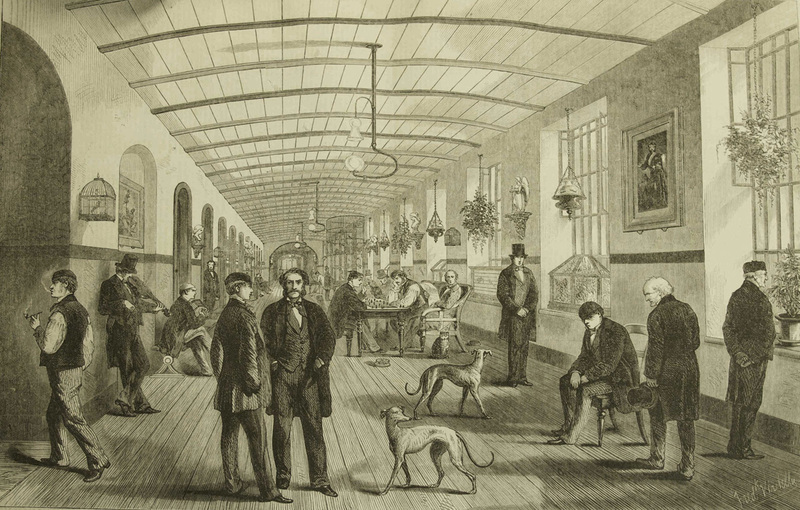 There was considerable public fascination with asylums in the 19th century. 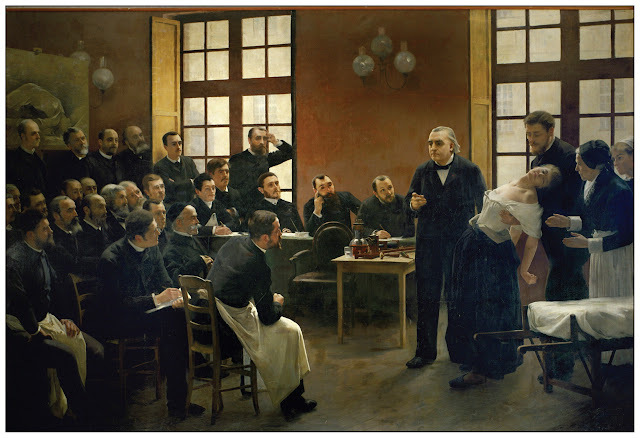 In France, audiences would gather to see Charcot's lectures on hysteria (above), complete with stage lighting and patients who would twist their bodies into dance-like poses. 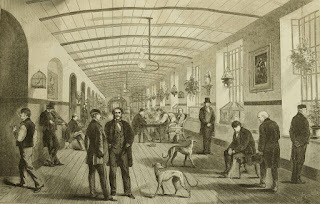 In England, Bethlem Hospital (popularly known as Bedlam) received thousands of visitors, eager to observe the inmates (this was also the heyday of freak shows and "human zoos"). 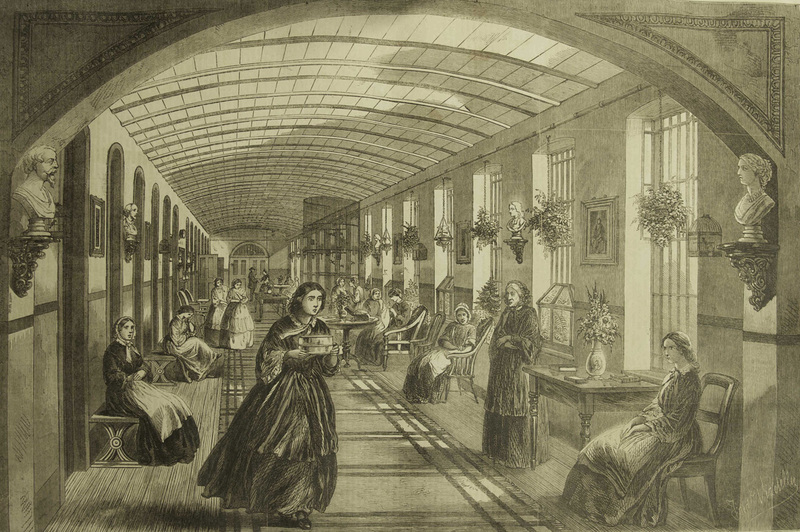 Newspaper depictions of the Men's Ward and Women's Ward are reproduced below. 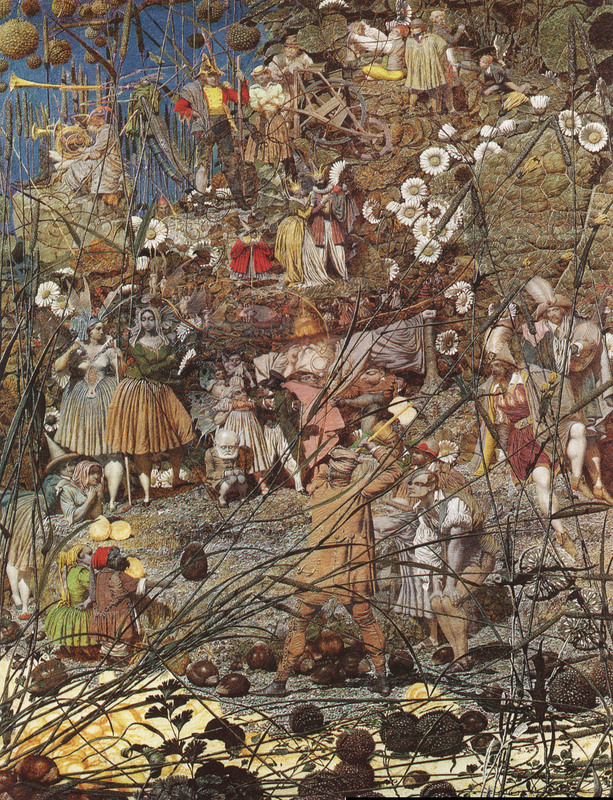 One of Bethlem's famous residents was the fairy painter, Richard Dadd, who had murdered his father during a delusional episode. His most famous painting (below) shows a man swinging an axe to create a chestnut carriage for Queen Mab, a character from Shakespeare. Mab is the fairy responsible for dreams, and, among the dreams she induces, Shakespeare includes a dream of cutting throats. Dadd was not the only artist in Bethlem. The institution also housed Jonathan Martin, another patient with delusions, who has set fire to York Minster Cathedral. Martin's brother John was a renowned history painter. 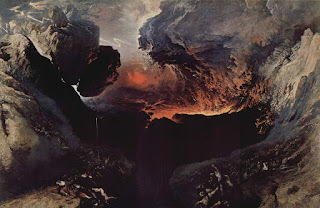 Jonathan Martin (below right) had a penchant for art as well, and his apocalyptic drawings have been compared by MacGregor to some of John Martin's paintings of Biblical catastrophes (below right). I offer another example here. The scientific study of mental illness gave rise to new beliefs about the relationship between insanity and art. Some psychiatrists noticed that a few patients with no prior interest in art, unlike Dadd, began making work spontaneously in the asylum. Few kept this work, as it was not recognized as having any value. The first systematic study of this psychotic art, as it would come to be known, probably owes to Cesare Lombroso, the famous criminologist. In a book on genius, which he relates to madness, Lombroso identifies a number of features that characterize the artistic outputs of psychiatric patients. According to his observations, their art tends to be marked by originality, eccentricity, symbolism, minuteness of detail, atavism (such as the omission of perspective and other modern devices), arabesques, obscenity, immorality, uselessness, absurdity, imitation, and uniformity. He also notes that these works often treat insanity as a subject. He illustrates with the example of a work by an unnamed patient diagnosed with paranoia (below), who was under the medical supervision of the American psychiatrist, William Noyes. Before being institutionalized, this particular patient was actually trained in France by Géricault, but Lombroso notes that some psychiatric patients paint with no prior history or training. For Lombroso, and other commentators in the 19th century, psychotic art was not something to be admired. It served, at best, as a diagnostic instrument--a window into the deranged mind. This attitude would change, however, in the 20th century. The change was occasioned by a revolution in art. By the late 18th century, post impressionists and symbolists were breaking from the naturalism and realism that had dominated Western art. Redon, Ensor, Gauguin, and van Gogh had gained acclaim by painting worlds that reflected their inner visions as much as outward reality. Modernists took this farther, and they found inspiration in works created by artists who were either untrained or trained outside the naturalist traditionalists of Western art. Cave paintings, Romanesque statuary, African masks, and the art of children were all celebrated. Such works were seen as primitive (or "savage") and primitivism became an aesthetic ideal. To be primitive was to be honest, expressive, and free. There was an impression that the way to be truly modern was to stop backward to a time before the civilizing process that began with Renaissance humanism and ran through the Enlightenment and academic painting of the 19th century, In some ways, the modernism preoccupation with primitivism was akin to the Romantic myth of the nobel savage, but there was a crucial difference: to be modern was also to break from the past, to invent new ways of seeing, to be avant grade. Primitive art appealed, in part, because it offered a feast of ideas to appropriate and channel into new, shocking visual experiments. It was inevitable that, in this context, attention would also turn to the art of psychiatric patients. Awareness of psychiatric art was raised by a series of exhibitions and mental institutions, including Bethlem Hospital, and several important publications. In 1907, a physician published a book called L'Art Chez Fous under the pseudonym Marcel Rejas (see figures above). It was circulated among French artists. In 1921, a Swiss Doctor named Walter Morganthaler published a book-length study of his patient Adolf Wölfli. Wölfli, a delusional patient who had been interned after attempting to molest several children, was a creative savant who made hundreds of drawing and collages, wrote copiously, and composed music. His earliest pictures exhibit abstractions and spatial distortions that precede and, to some extent, exceed the experiments by cubists (below). 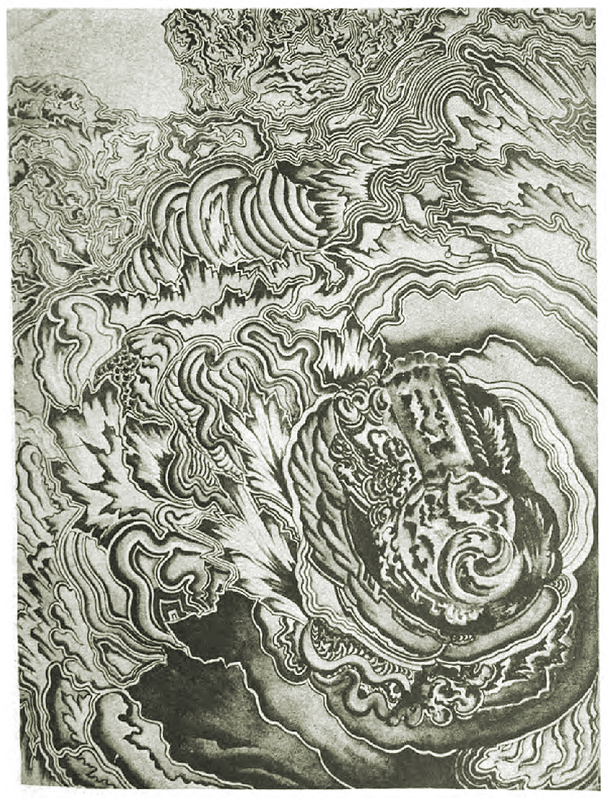 Wölfi's images also conform to the description that Lombroso gives of psychotic art, which serve implicitly now as selection criteria when deciding which mentally ill artists deserve our attention. Wölfi, too, has become a kind of template. Work that shares his claustrophobic sense of space (horror vacui) is likely to appeal because it fits our (constructed) expectations. Wölfli became the first untrained, mentally ill artist to gain name-recognition, and he remains a measure for others. 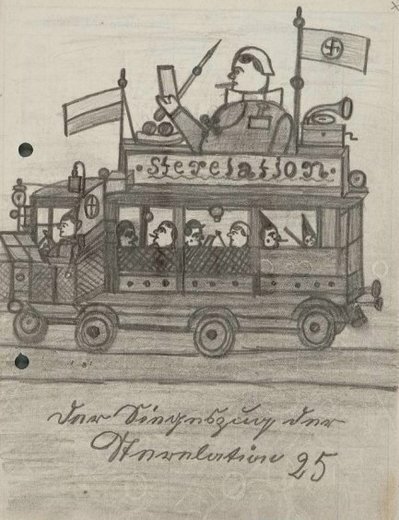 A year after the Wölfli book was published, Dr. Hans Prinzhorn published a more general study of art by mental patients, based on a collection he was amassing at a clinic in Heidelberg. 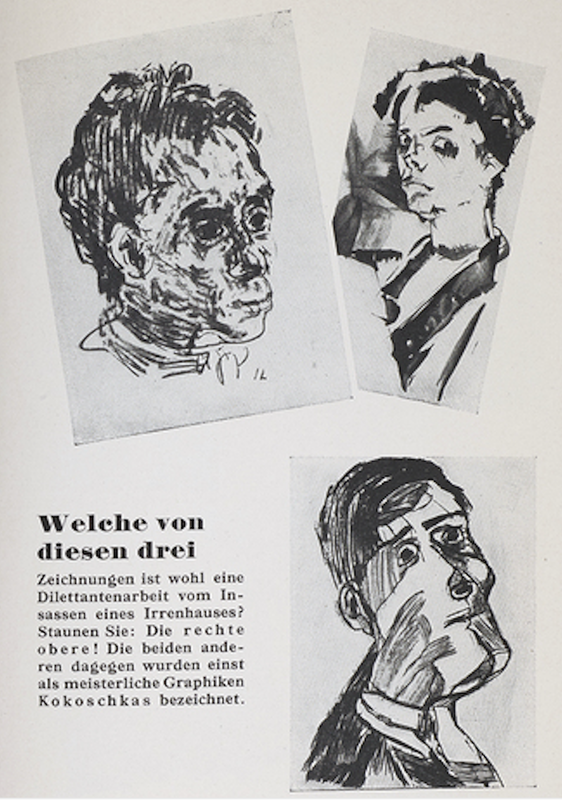 Prinzhorn compared mentally ill artists to mainstream modernists, such as the expressionists. 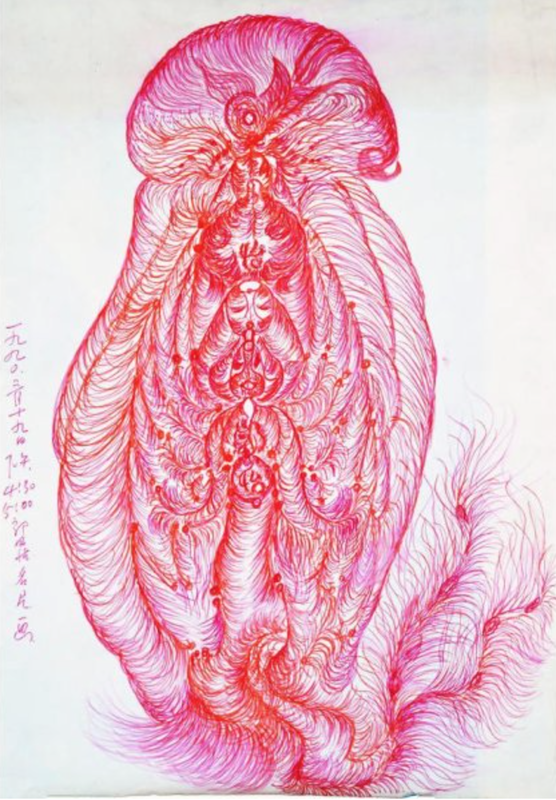 Like Reja and Morganthaler, he described the artistic merits of this work, not just its clinical import. Modernist painters read all three volumes with great interest and began to openly praise and even collect works by painters who were untrained and institutionalized. 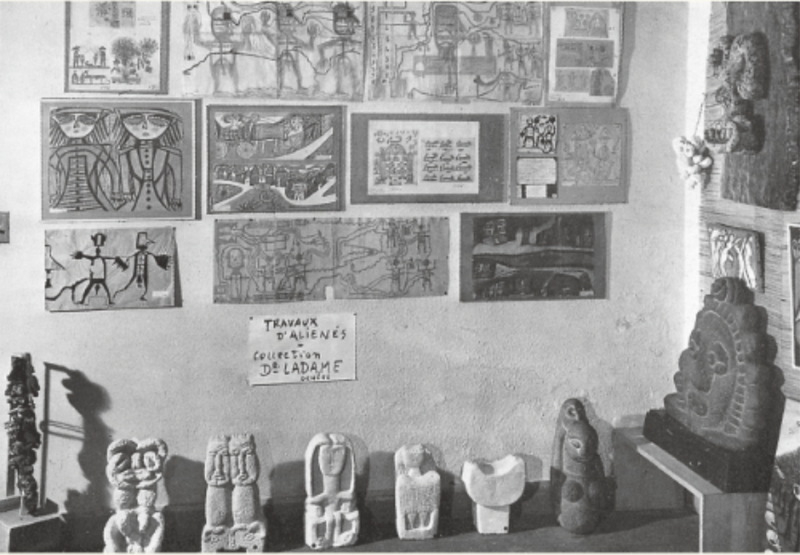 Fans included Paul Klee, Pablo Picasso, Max Ernst, and Andre Breton. The modernist enthusiasm for art by mental patients would soon take a very dark turn. Nazi authors in Germany took notice of stylistic similarities and labelled modernists "degenerate" (see brochure on left). 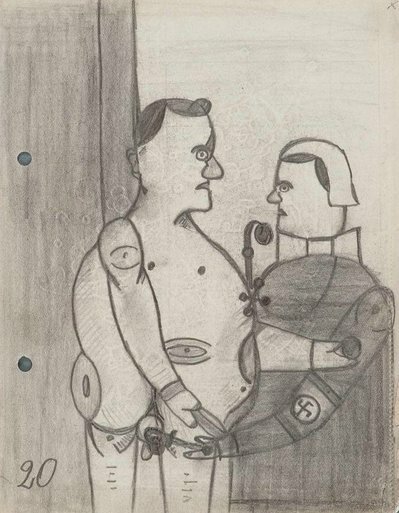 An exhibit of Degenerate Art was opened to demonstrate these parallels, juxtaposing confiscated modernist paintings with works borrowed from the Prinzhorn collection. Prinzhorn had been a Nazi sympathizer but died well before the exhibit, in 1933. His successor oversaw the sterilization of Prinzhorn's patients, and, later bore witness to their execution, as Hitler began to "euthanize" individuals diagnosed with mental illness. It was recently discovered that one inmate, Wilhelm Werner, documented his sterilization and forecasted his deportation to death camps (below). Just after the war, attitudes toward mentally ill artists would transform once more. In 1945, Jean Dubuffet coined the term art brut, or raw art, to refer to the work of artists who were unadulterated by "culture." The world was in ruins, and the values of those deemed cultivated and civilized could no longer be regarded as sacrosanct. 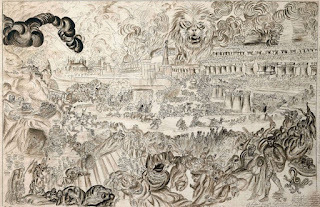 Art by people on the margins of society was seen, by Dubuffet as more worthy of respect. Along with Breton and other artists, he began a campaign to promote and collect art brut, a preoccupation that would animate him for the remaining decades of his life. Dubuffet's concept of art brut incorporates many ideas from previous generations: With the Greeks, he develops an affection for artists who claim to be guided by supernatural voices. With Vasari, he emphasizes artists' biographies, and records the life histories of those he collects. With Romantics, he aggrandizes madness, presenting it as a gift, rather than as a defect. With the medical model, he draws attention to aspects of this work that are symptomatic of psychological deviation: compulsive production, minute details, atavism, and the like. With modernists, he celebrates the originality of those who are untrained, extolling their freedom from influence. But Dubuffet also breaks from these traditions as well. For one thing, his category takes on new contours. It is not limited to the art of the mentally ill, but also includes those with developmental disorders, spiritualists, and those whose economic conditions have kept them isolated from mainstream culture. At the same time, he excludes those who are merely naive--aspiring without proper training to produce naturalistic art--favoring those who invent entirely new styles. 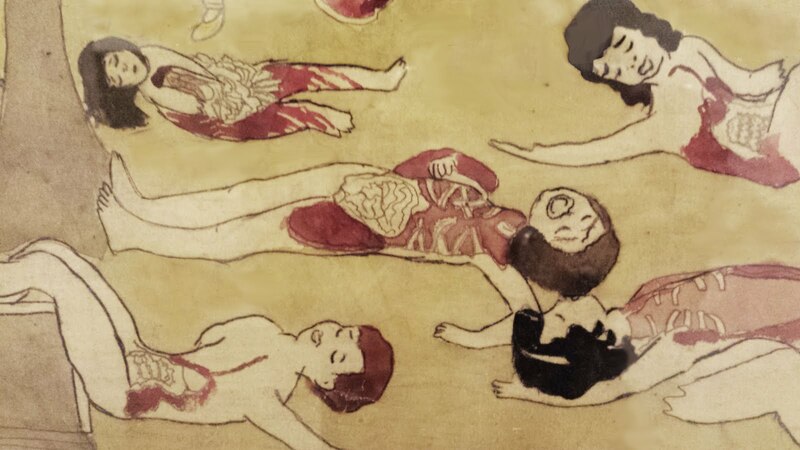 Art brut is defined by its position outside culture, regardless of whether that position results from mental health issues, economic conditions, or systems of belief. This positionality was so crucial for Dubuffet that he would remove artists from his collection if they gained to much exposure to mainstream art. 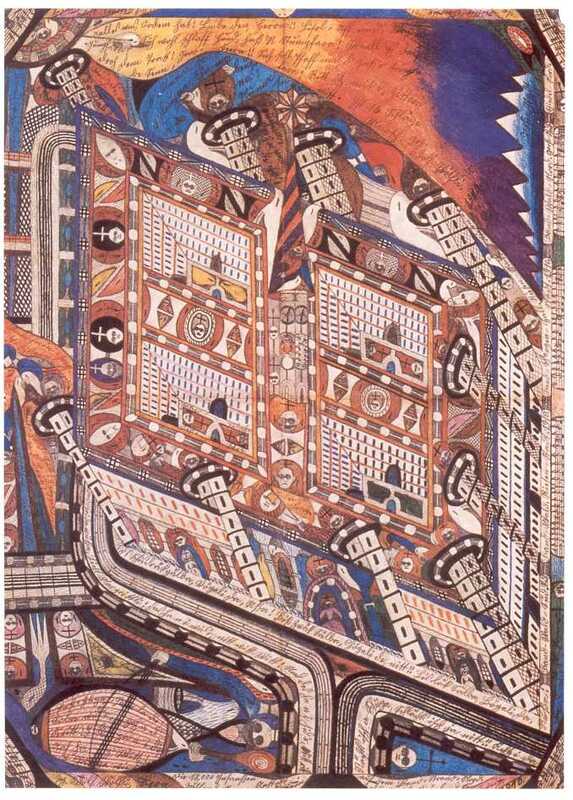 In the decades after the war, the term art brut gained currency through Dubuffet's lectures, writings, and exhibitions. 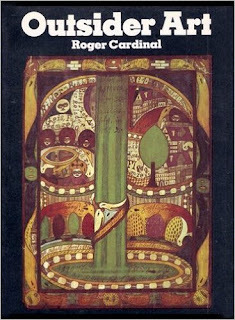 In 1972, Dubuffet's concept was introduced to anglophone readers in a book by the art historian, Roger Cardinal. 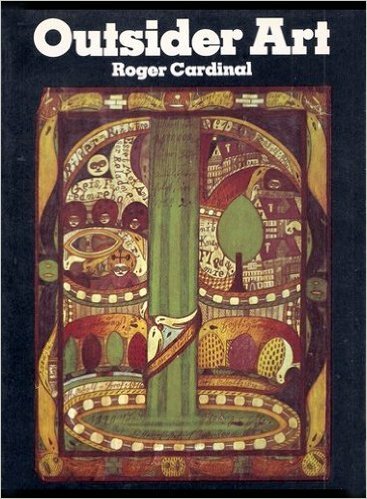 Cardinal's publishers worried that the French term would confuse readers, so he swapped it for a new coinage: Outsider Art. To audiences in the early 1970s, the idea of artistic outsiders took on new allure. An anti-esblishment ethos was in vogue, and psychedelic drugs were inspiring new aesthetic ideals. Artistic outsiders could now be embraced as countercultural visionaries. Romantics were drawn to their irrationality, modernists were drawn to their originality, and Dubuffet was drawn to their purity, but Cardinal's readers were more likely to find them groovy. For this brief period, the term "outsider" would have evoked associations with the hippy ideal of dropping out from society. That association is long since gone, but Cardinal's term is still with us. In the 1980s, the art world was taken over be unprecedented economic forces. 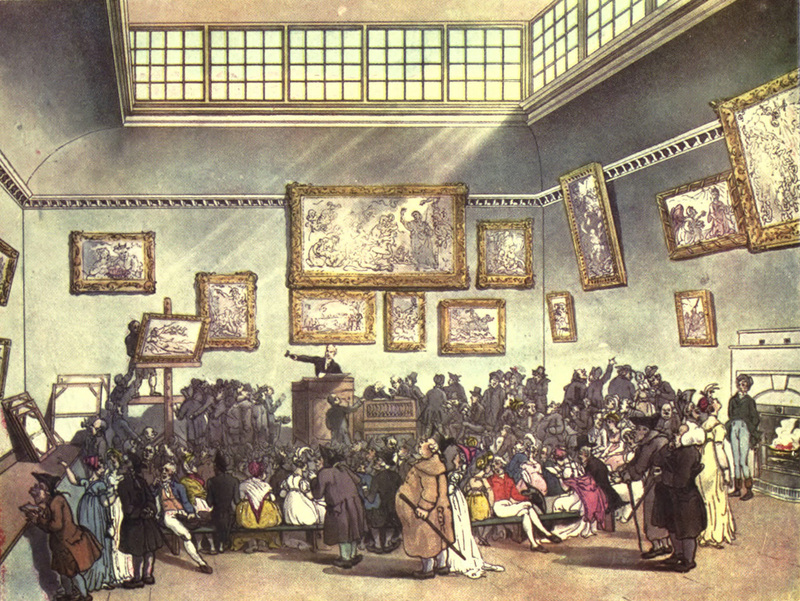 Investors saw art as a great way to make big profits. Unknown artists were trumped up and then sold at enormous premiums. Critics were displaced by dealers and gallerists ready to promote the next big name, museum boards were dominated by bankers and business leaders, and inflated price tags made art acquisitions prohibitive to the average art enthusiast or working artist. Outsider art inevitably underwent the same commodification. Indeed, it was a particularly attractive market, because the work could be acquired for rock bottom prices by enterprising gallerists, and prices could begin within the reach of ordinary gallery visitors. And yet, there was still room for rapid escalation. At the same time, those who stood behind Outsider Art could express contempt for the elitism of the art world. They could also demonstrate political correctness by investing in those who were disabled or disenfranchised. 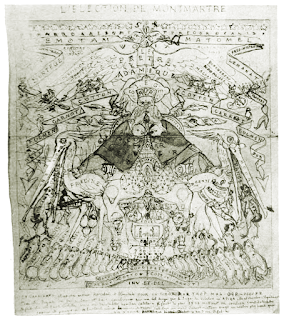 Outsider Art offered the perfect balance of good business and good values. It is no surprise, then, that dedicated magazines, books, fairs, galleries, and museums began to appear all over the world, promoting artistic Outsiders. temperamental artistic personality, Romantic ideals of artist as visionary, medical assumptions about the etiology of stylistic deviations, modernist preoccupations with the shock of the new, and Dubuffet's anxiety of influence. The term also establishes a boundary between inside and outside that keeps disenfranchised artists on the periphery. Their value is set by insiders, but it depends on their continued status as outsiders, creating a system of exploitation. My goal here has not been to offer a critique of the concept of Outsider Art. I intended to offer an abbreviated history. That history helps to reveal some ways in which the concept is problematic. Rather than bringing out those problems more explicitly, however, I want to end on a positive note. As a historical product, the concept of Outsider Art is likely to change, and many institutions are working toward that end. The American Folk Art Museum, which recently mounted a show profiling Dubuffet's art brut collection, has resisted the term. They group Outsiders with native artists, and folk artists, destabilizing all of these categories . 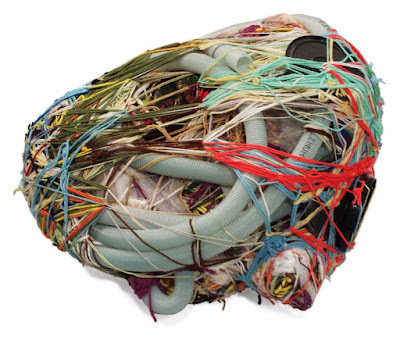 There have been recent exhibits of Outsider artists in mainstream museums, such as the Judith Scott retrospective at the Brooklyn Museum (below), a Morton Bartlett show at the Hamburger Bahnhof in Berlin, and a newly installed Henry Darger collection at the Musee d'Art Moderne in Paris (above). Such shows normalize Outsider artists by giving them first tier status, rather than treating them as oddities or indulging in the condescending fantasy that they are better because they are on the margins. There have also been numerous recent shows that combine Outsider and Insider art without making a big deal of the comparison (the New Museum and the Palais de Tokyo). Once we move past the problematic concept and the dogma that marginalized artists should be evaluated differently from more privileged artists, we can work to steer this ongoing history in positive directions. The overall impact has been good. I present my reservations as a confessed lover of outsider art. I think the people making work outside the world of galleries, art theory, and MFA programs often produce work that is extremely compelling and important, and I love the fact that creativity can thrive under diverse conditions. Some of the best work of the last century comes from off-center. 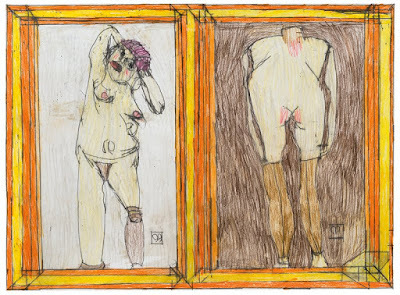 Consider Josef Hofer below (represented by Christian Berst), who joins Schiele and De Kooning as a creator of nudes that deserve a place in the canon. Or consider Guo Fengyi (right), represented by Andre Edlin Gallery, whose large ink works reinvigorate Chinese painting--they echo ancient traditions, but also introduce a new sensibility, and a organic complexity that compels continual looking. The recognition and inclusion of this work is a major advance. The 20th century brought the art of people with mental illness into critical attention and that has been a source of inspiration to many. It has also opened up the doors of the art world to some degree, bringing fame to artists who would have been invisible in past centuries. Those doors could be opened much further, inviting many others who have been cut off from the art world to contribute, both as producers of art and as viewers. Such inclusiveness requires that we move beyond the Inside/Outside dichotomy.